iPads and smart phones have become the ultimate saviour in modern parenting. 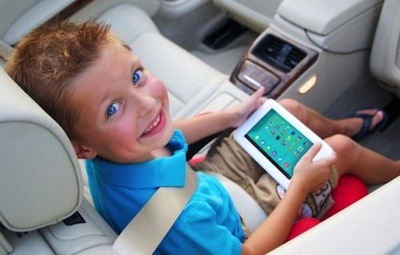 Used in moderation, iPads are a fantastic tool for children to play, learn, and develop their skills. More importantly, it is the only toy or educational vice which captures children’s undivided attention for more than five minutes. Apps are constantly developing and there is plenty of choice on the market directly aimed at children. This addictive puzzle game is suitable for children of all ages, and has even become a firm favourite among adults. The simplistic challenge to match as many of the 3 animated characters as possible within the 60 second time span, keeps you on the edge of your seat. While it is not necessarily the best app on the market for learning, it is certainly fun, and will maintain interest. It has become so popular it has attracted over 20 million users. This app is aimed at children between the ages of 8-13. It teaches children about the world and beyond. The user can zoom in and out to reveal fun facts and insightful information about our planet and solar system. As a starting point, we are introduced to Tickbait, the lovable mascot dog lying in his back garden. From here, if user zooms in they will reveal informative pages about DNA and atoms, and if they choose to zoom out, they will learn about the planets and atmosphere. This app provides a multitude of information in easily digestible snippets, making science fun for the user. This app is a great tool to help children learn about the basic science which surrounds them in a fun, light and exciting way. Children love Peppa Pig, the brand has dominated the market for years whether in television, book, toy or app format; it is a firm favourite and is here to stay. Peppa Pig- Happy Mrs. Chicken provides the user with 6 interactive games. It’s a true classic which provides variety, familiarity and fun for children. It is targeted towards younger children, and is a great tool for helping children learn hand eye co-ordination and problem solving, while maintaining a high level of fun. This is a great educational app for younger children. The user is guided by three fun characters who provide clear instructions. The aim of the app is to help children develop their counting skills with the encouragement of the lead characters, who are well known as they also feature on a television show, just like Peppa Pig, which aids its popularity. The app is simple and fun and has become a firm favourite. The reviews and parental feedback for this app have been extremely positive, most commenting on its ability make learning fun. They also state that the app has really helped their children develop their counting skills which translates into everyday life when they are not using the app. Apps are a great way to help children learn. While iPads and smart phones are often criticized when used to entertain and teach children, in supervised moderation, they are a fantastic method to encourage children to develop their maths, co-ordination, concentration and reading skills. Not only that, they provide a welcome distraction, providing parents with some solace. About the author: Kirsten works for top toy and games specialist Letterbox. In her line of work she constantly researches the market to see what is available, and what new apps or toys are proving most popular. The article above was from a MamaBear guest blogger. The MamaBear blog is now accepting guest post from reputable bloggers on a variety of subjects. If you are interested in guest blogging for MamaBear simply contact us here. Previous PostPrevious How Can You Monitor Your Child’s Facebook Page Easily and Effectively?